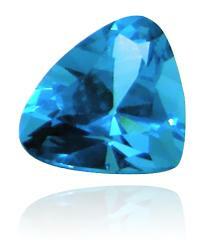 Nassak diamond (also known as Nassac diamond and the eye of the idol) was discovered in 15th century in India. Its original weight was said to have been 80.3 carats. The famous Nassak diamond was named after the tower of that name, now spelt Nasik, 160 km north-east of Bombay. It was among the treasures of the neighbouring temples as was seized by the Mohrattas, when they overran the country. Baji Rao II the last independent Indian Peshwa Prince owned the famous diamond for a short period of time. Eventually nassak diamond fell into the hand of an English colonel named J. Briggs who handed the diamond to Francis Rawdon-Hastings, the 1st Marquess of Hastings who had conducted the military operations against the Peshwa. Rawdon-Hastings delivered the diamond to the East India Company in 1818 as part of the Deccan booty of the Maratha war. The East India Company then sent the Nassak Diamond to England, to be sold on the London diamond market in 1818. Nassak diamond was sold for about 3,000 pounds (equivalent today to £196,000) to the London Jewellers, Rundell and Bridge. It that time nassak diamond had an irregular pear shape weighting 89 carats, but was then skilfully recut into a beautiful triangular brilliant. Rundell and Bridge held onto the diamond for the next 13 years. In 1831, Rundell and Bridge sold the diamond to the Emanuel Brothers for about 7,200 pounds (today about £584,000). In August 1837 at an auction the famous Nassak diamond was bought by Robert Grosvenor, the 1st Marquess of Westminster. It was eventually acquired by Georges Mauboussin of Paris and later in 1940, American jeweller Harry Winston acquired the Nassak Diamond in Paris, France and recut it to its present flawless 43.3 carats (8.676 g) emerald cut shape. Edward J. Hand, the current owner, purchased the famous Nassak diamond for $500,000 in an auction on 16 April 1970.